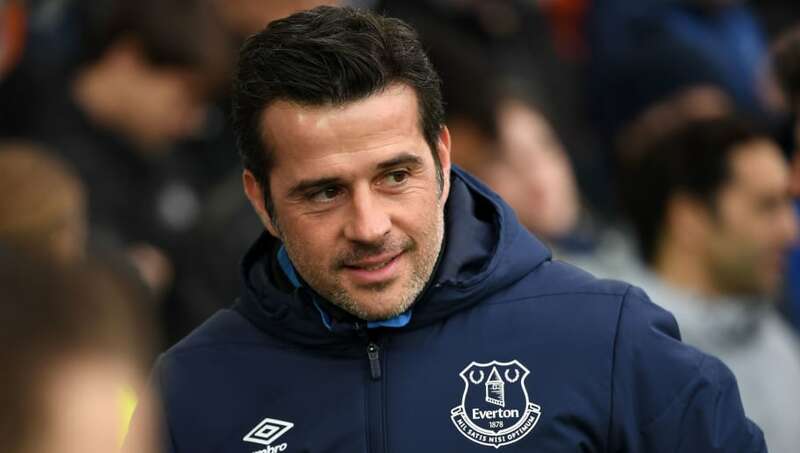 ​Everton manager Marco Silva has said there is 'always a chance' the club could get deals done ahead of time to secure the permanent signings of on-loan stars Andre Gomes and Kurt Zouma, while playing down speculation linking midfielder Idrissa Gueye with Manchester United. Gomes and Zouma joined on loan from Barcelona and Chelsea respectively in the summer and both have become central figures to Silva's first season in charge at Goodison Park. Zouma has largely been a mainstay in central defence, while Gomes' dominating midfield performances have sparked speculation that ​​Spurs could poach him from under Everton's nose this summer. In both cases, it's widely expected that the Toffees will make some attempt to keep them at the club beyond May. When asked if deals could be done before the summer, Silva told the ​Liverpool Echo: "There's always a chance, but it's something that's not just in our hands. "They are happy here, which is a good sign. That means they are performing, they are enjoying it and they are helping the team also. "We are happy with them, this is the truth. It's up to us to do what we can to try to keep them. "It's up to the clubs also, it's not just in our hands. It's in the player's minds also and they have to decide together with their own clubs. In the right moment we will do something." While recruiting both players will be high priority for ​Everton, another item that is likely to be high on the transfer agenda is keeping hold of midfielder Idrissa Gueye, whose displays earned him strong links with Paris Saint-Germain in January, and is now ​being ​touted for a move to Manchester United. Silva, however, was less open to that one, telling the ​Manchester Evening News: "It’s new to me. No concerns about that. All the speculation is in the media and will come in the next few days or weeks. "It’s something natural. I’m not here to answer about the possible rumours."